Civil Procedure Code, 1908, O.44 R.1– Indigent Person-Once the petitioners have been found to be person of means, having regular monthly source of income-­ Application ought to be dismissed. 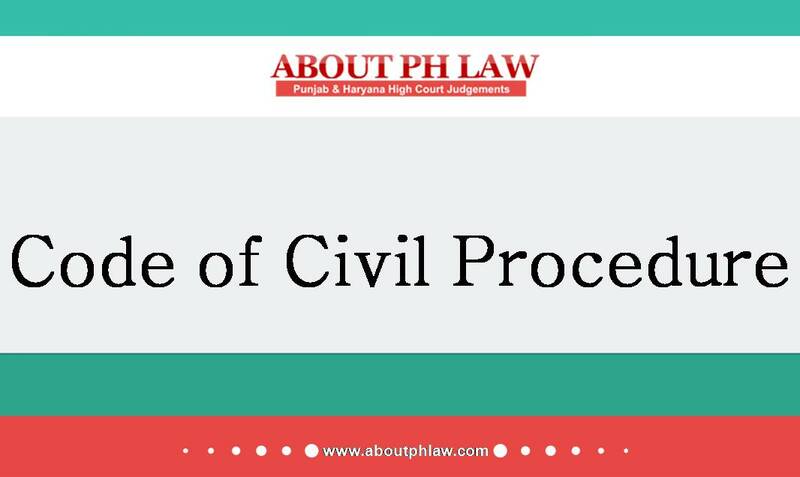 Comments Off on Civil Procedure Code, 1908, O.44 R.1– Indigent Person-Once the petitioners have been found to be person of means, having regular monthly source of income-­ Application ought to be dismissed. Legal Services Authority Act, 1987, S.22-C–Permanent Lok Adalat-Pecuniary Jurisdiction-Permanent Lok Adalat does not have jurisdiction in the matter where the claim was made more than Rs. 10 lakhs. Comments Off on Legal Services Authority Act, 1987, S.22-C–Permanent Lok Adalat-Pecuniary Jurisdiction-Permanent Lok Adalat does not have jurisdiction in the matter where the claim was made more than Rs. 10 lakhs. Agricultural Credit—Agreement was silent about rate of interest and whether simple or compound interest is to be charged—Banks directed to charge simple interest @ 12% p.a. Comments Off on Agricultural Credit—Agreement was silent about rate of interest and whether simple or compound interest is to be charged—Banks directed to charge simple interest @ 12% p.a. Recalling of Witness—Application for recalling of witness cannot be allowed, for further elaboration on the left out points—0.18 R.17CPC is primarily to clarify any issue or doubt. Comments Off on Recalling of Witness—Application for recalling of witness cannot be allowed, for further elaboration on the left out points—0.18 R.17CPC is primarily to clarify any issue or doubt.